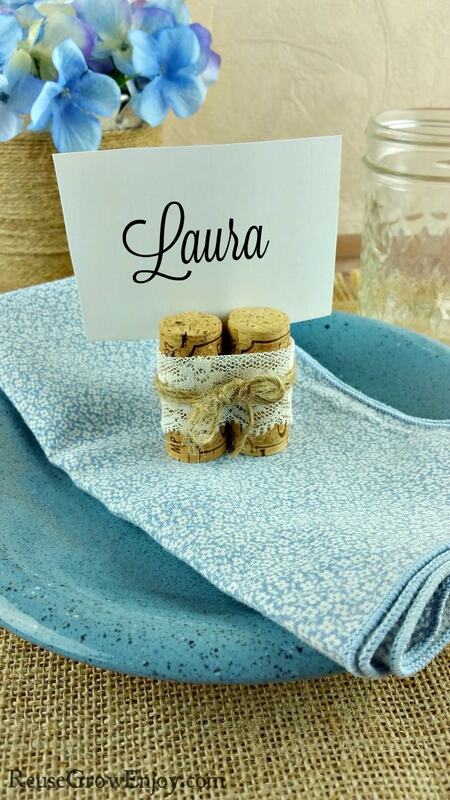 Upcycled Cork Place Holders – Great For Weddings! Have a wedding or party coming up that you could use some place holders? If so, I have just the upcycled craft for you! 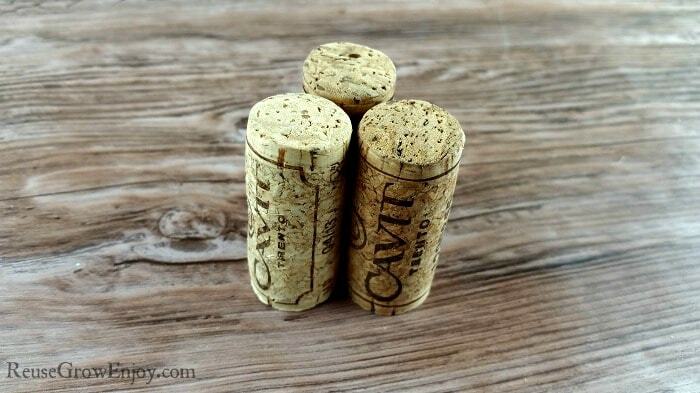 I am going to show you how to make these cute cork place holders. They are pretty easy to make and you may already have all the supplies on hand. You will need 3 corks for each place holder. The corks all need to be about the same size. You will also need some twine or string and some lace trim. 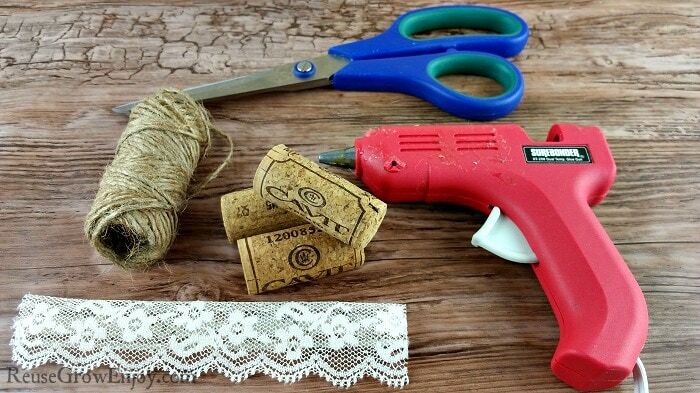 You could also use ribbon, felt or even pretty scrap fabric in place of the lace. Feel free to change it up so it fits your style and needs. The first thing you need to do is glue the corks together in the center. Glue the first two together making sure to leave a gap from the top so that it is not filled with glue. Then glue the third one right over where you just glue those. Also, make sure you leave a gap of glue at the top of that one too. The reason you are not gluing all the way to the end is that you need that space to slide the card with the name or table number in it. 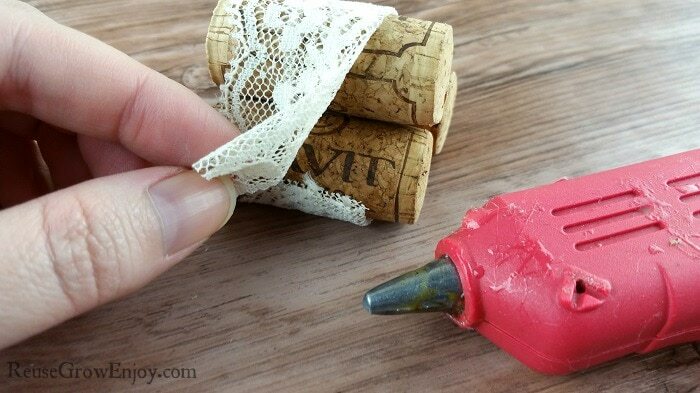 Next, you want to glue one end of the lace to the center of the corks. Then wrap the lace all the way around them. Cut off the extra lace and glue that end in place right over the first one you glued. 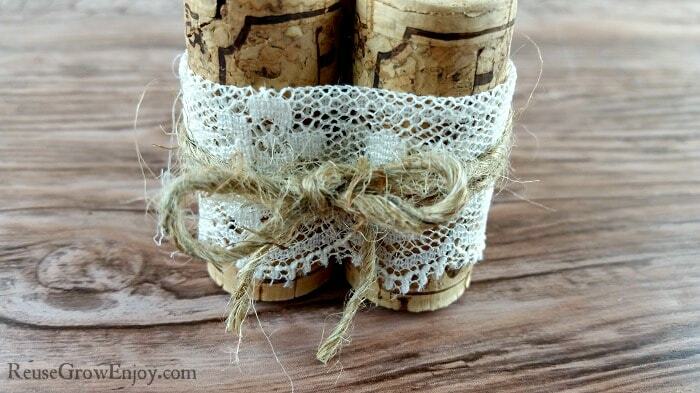 Now take some twine and wrap it a few times around the corks right over the lace. Tie it in a bow and cut off the extra twine. That is it! You now have a cute way to hold name cards or table numbers! Simply slide them in the slit at the top of the corks. If you are looking for something to make the cards with, you can use cut index cards, scrap cardboard boxes like from a cereal box or anything that is a little thicker that you may have on hand. If you liked this craft and looking for other ideas, here are some others to check out.